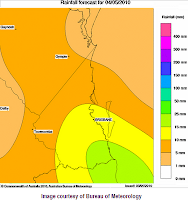 Up to 25mm of rain may fall around the Gold Coast early Tuesday before tending to showers, then isolated afternoon storms are forecast for Wednesday afternoon. 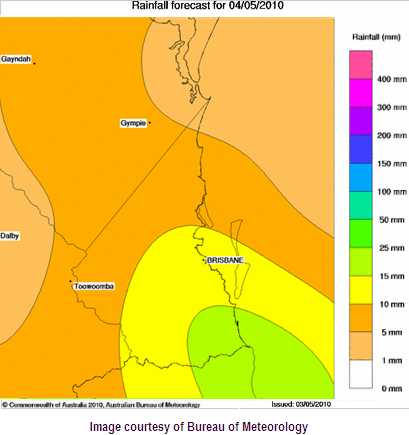 The rainfall forecast images (left) shows falls of between 15-25mm are expected to fall over the Gold Coast region on Tuesday. Wednesday will see showers and isolated afternoon/evening thunderstorms developing before a trough moving eastwards off the southern Queensland coast overnight. 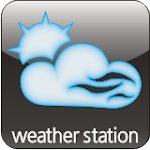 However Thursday and the remainder of the working week should see clear skies and fine weather with tops around 24-25 degrees.